Rich Wilson, who succesfully completed the 2008 Vendee Globe (a single-handed nonstop race around the world,) has set his sights on the 2016 Vendee Globe. Wilson finished the 2008 race in 9th place of 11 finishers of 30 starters !!!!! Wilson's previous Open 60, Great American 3, was refit at MYC prior to the 2008 race (see details of this project here.). He has returned to MYC with Great American 4 for a refit prior to the 2016 event. GA4 is a new boat to Wilson. 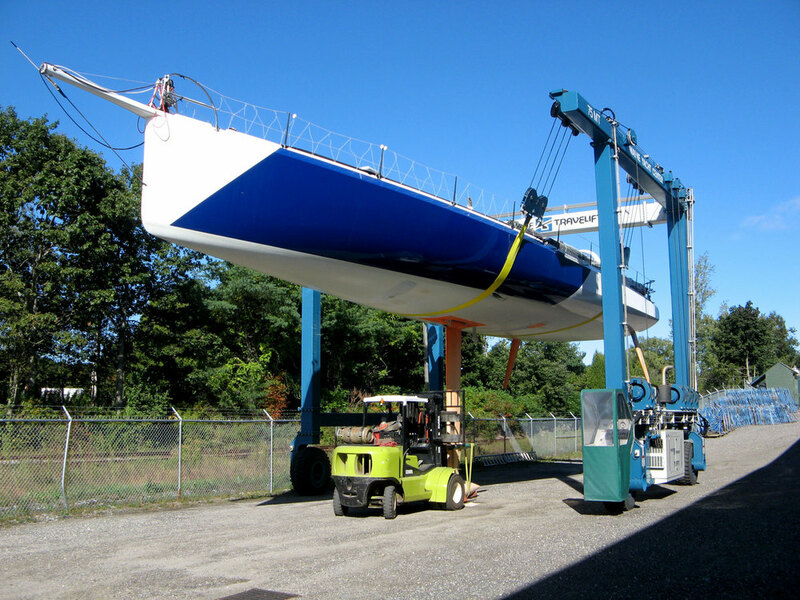 GA4 is the ex "Mirabaud", an Owen Clarke designed Open 60 built in NZ by Southern Ocean Marine. 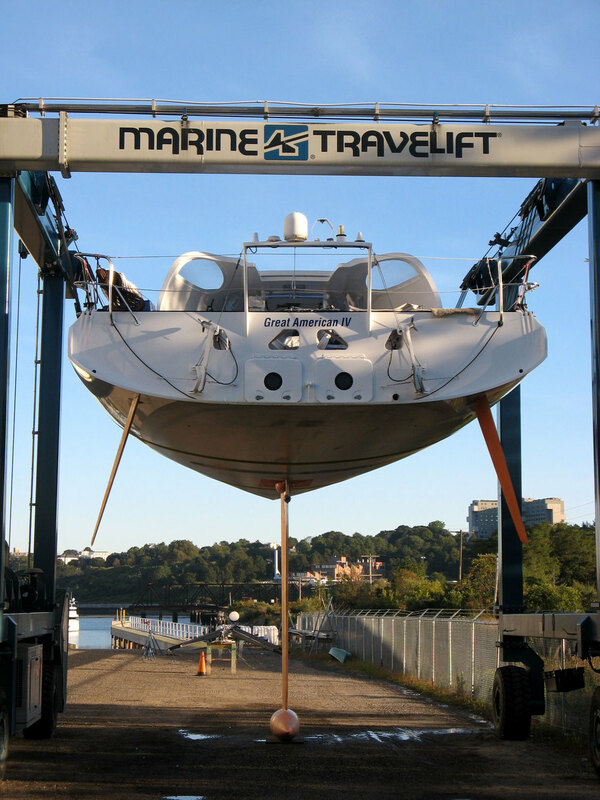 Removal of canting keel, inspection of keel pivot bearings, keel hydraulics and service. Removal of twin assymetric daggerboards and replacement of bearings. Removal of rudders and bearing service. Construction of an ergonomic chart table, bench seat and custom chair. All new electronics and wiring including sailing instrumentation, satellite communication and computers. New Lithium Ion battery bank. New charging system to include custom direct drive engine alternator/regulator, hydro-generators and solar. New stantions, bow pulpit and pushpits for higher life line configuration. For more details and pictures see our PROJECT PAGE here.